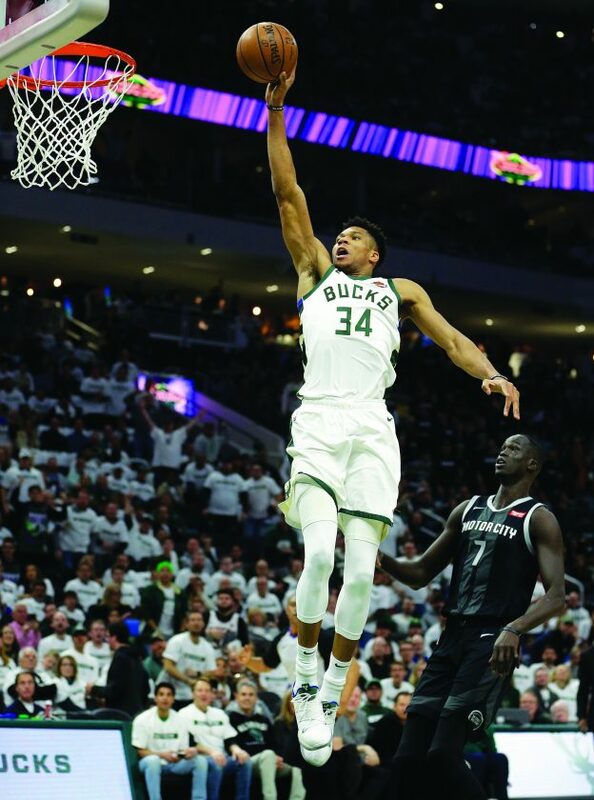 AP photo Milwaukee Bucks’ Giannis Antetokounmpo (34) dunks against Detroit Pistons’ Thon Maker during the second half of Sunday’s Game 1 in Milwaukee. Detroit shot 38% from the field and went 8 of 27 from 3-point distance (29.6). “I think it was top-notch today,” Bledsoe said of the Bucks’ defensive performance.